Ron Artest’s Car | Hyundai? I think this is the first and probbably last Hyundai that will be customized by Platinum Motorsport. 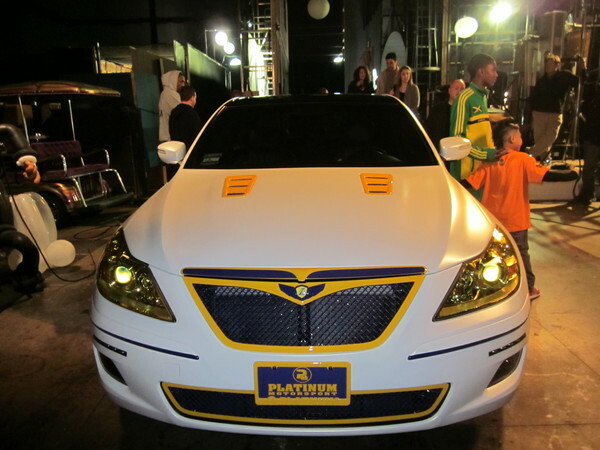 This is Ron Artest’s Hyundai – Lakered Out. 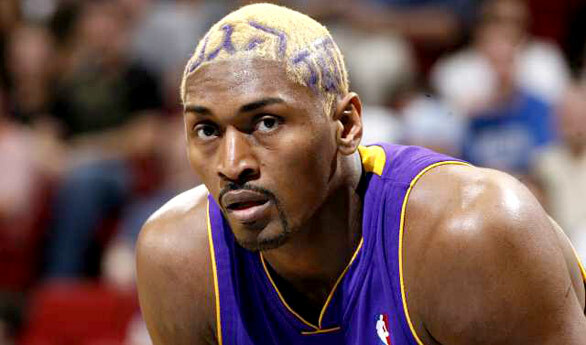 George Lopez promised the Lakers forward a car — a Phantom actually — but Artest aid all he needed was a Hyundai. Whenever Ron Ron saw George sitting courtside at Lakers games, he would remind him about the car. So Lopez finally invited Artest back on the show to promote his rap album and that’s when George presented him with the Laker Mobile. 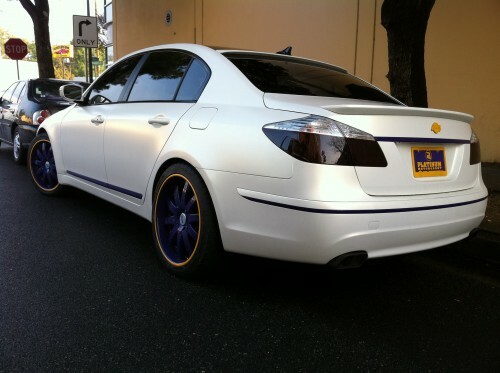 The car has purple and gold rims and brakes, as well as Lakers colors on the seats and interior. This car is obviously a joke and gimmick car. I would have customized this to be even more wild and crazy, paint the entire car purple and gold. Either way, not too impressive.